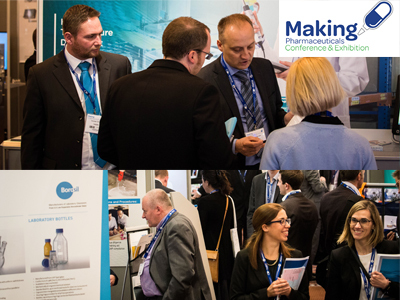 Making Pharmaceuticals brings together the leading figures from the UK pharmaceutical industry for 2 days of comprehensive technical conference content, which is presented by key experts and leading pharmaceutical organisations. 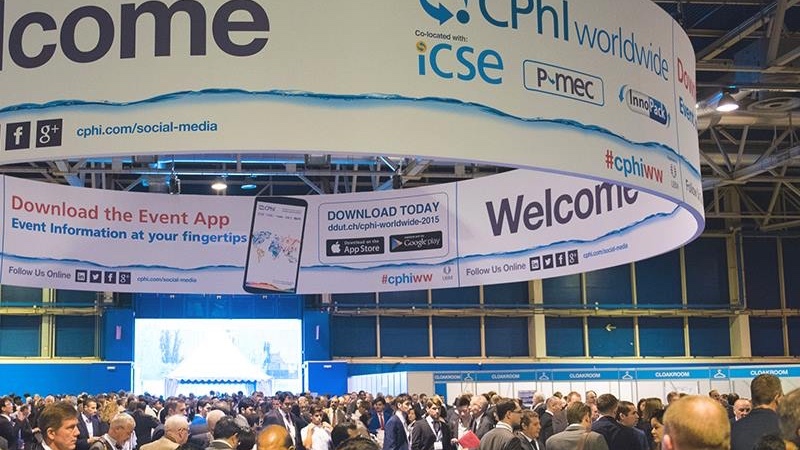 During the 2-day event, visitors are able to attend a series of seminars compiled by a number of leading authorities in the UK, as well as the largest pharmaceutical exhibition in the country. Attendees to the event will also be able to speak with representatives in the exhibition from more than 100 companies that are at the forefront of developing the products, services, technologies and expertise that will drive the industry forward in the coming years, increasing production capabilities and ensuring the UK remains at the cutting edge of an increasingly global and competitive sector. PCI Pharma Services is an integrated full service provider, a proven and trusted partner to leading companies in the global healthcare industry. We offer unparalleled expertise and experience in taking compounds from the earliest stages of development through to successful commercialisation, delivering speed-to-market and commercial success for our customers. Our core services support each stage of the product lifecycle, including drug development, clinical trial supply, commercial launch and ongoing commercial supply. We partner with clients in providing innovative technologies, flexible solutions, and an integrated supply network supporting lifesaving medicines destined to over 100 countries around the world. We support clients with a dedication to providing the industry’s leading experience, exemplified in our operational flexibility, delivery, and commitment to safety, supported by industry leading technologies and an exemplary quality and regulatory record. This has allowed us to be the partner of choice for leading pharmaceutical companies around the world, operating as a seamless extension of their business. Labtex on stand 302 will show a selection of leading laboratory products including HUBER liquid temperature control baths, circulators and chillers, DIEHM 50 litre glass reaction systems, POPE wiped film or short path evaporators and distillation systems, Nutsche filter dryers, BOLA labware in PTFE and other technical plastics, Vacuubrand vacuum pumps, SOLIDA bioreactors and fermentors, ASECOS storage solutions for hazardous materials to BS EN 14470-1 and our own ESDTi Lab Scale Spray Dryer. We provide scale up equipment for Process R & D in the pharmaceutical, chemical defence, aerospace, biochemical and other industries including Reaction systems, Process Automation, Distillation and Evaporation, Liquid Temperate Control and Hazardous Material Storage Solutions. Surfachem offers a range of high quality API’s, Excipients and Specialist Pharmaceutical Ingredients to pharmaceutical, biotech, chemical and drug discovery companies. 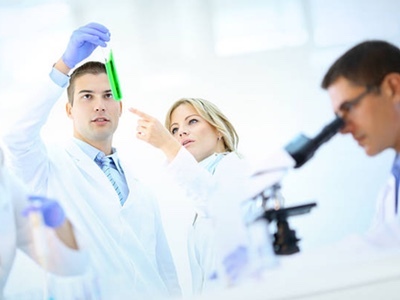 We support our customer’s R&D and product development teams throughout their projects, supplying not only products but ideas and information on market trends to create a competitive edge for their formulations. At Surfachem, we strive to consistently ensure that the products we supply are manufactured, packed and handled in accordance with EU GMP, FDA & latest ICH Q7 guidelines, comply to latest EP/BP/USP monograph’s and are accompanied with all relevant documentation. Surfachem is ISO and ESAD certified and our QMS system/ warehouse is regularly audited by Pharmaceutical companies. Butterworth is a UK based contract laboratory supporting the global pharmaceutical industry. Specialising in the quality control analysis of excipients, API, drug product, packaging and medical devices using recognised international standards, we also develop and validate methods to be used for quality control purposes using a wide range of techniques. Munters are the global leaders in energy efficient air treatment solutions and work with a range of industries, one of the biggest being pharmaceuticals. Many pharmaceutical products are sensitive to excess humidity -powders, tablets, capsules and diagnostic strips can often lose quality and shelf life when they come into contact with moisture in the air. Munters can provide custom-designed air dehumidification solutions for all these areas of pharmaceutical production, whether in silos, production facilities, warehouses or transport, air humidity and temperature can be consistently and precisely controlled. The solutions can improve hygiene conditions and provide considerable energy and cost savings. Reading Scientific Services Limited (RSSL) is firmly established as a trusted partner in the provision of analytical, investigational, consultancy and training services to the pharmaceutical, biopharmaceutical and healthcare sectors. Scientific expertise and application of leading edge technology, backed by a commercial awareness and passion for service, means that we add value to every project. Our chemical, physical, biochemical and microbiological services are wide ranging, but all are characterised by scientific accuracy and an appreciation for your requirements and timescales. We provide support from early phase development to finished product testing. As a GMP/GLP compliant laboratory with over 50 years of experience, Wickham Laboratories Ltd is an established name in the fields of pharmaceutical and medical device contract testing, research and consultancy. We conduct business with clients worldwide and the combined expertise of our laboratory technicians and managers enables us to be fully conversant with global regulatory expectations. Our services include microbiology, toxicology and in vitro testing in the areas of biocompatibility, validation projects, routine drug safety and quality control as well as stability storage and testing. 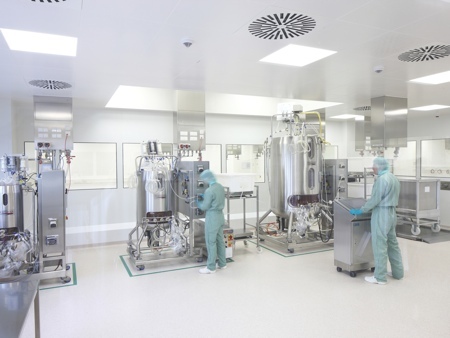 Berendsen Cleanroom Services provide complete contamination control solutions for industries including NHS, pharmaceutical, aseptic manufacturing, biomedical, general life sciences and universities. We offer a cleanroom laundry service that includes, cleanroom garment rental, mops, mats and goggles, stock control and sterilising to replacing and delivering all cleanroom solutions. All products meet the requirements for cleanrooms and controlled environments as described in the international standards of organisations such as ISO, CEN and IEST. We are ISO 4 and ISO 7 fully compliant with our Quality Management System, which is accredited to ISO 9001:2008 and our processing cleanrooms conform to ISO 14644 requirements.